The "Bust of the Century"
Recently, the state of the United States-Mexico border has assumed primary importance in American domestic politics. And with that, the border has been conflated with notions of security. This paper will investigate the root causes of the border's securitization by grounding the case study of the Camarena Affair within The Copenhagen School's burgeoning constructivist literature on securitization. The paper will conclude by discussing the legislative fallout from the Camarena Affair's legacy, and arguing that the successful linkage between border and security occurred long before the events of September 11th, 2001. The border shared by Mexico and the United States did not always function the way it does today. In this paper, I will trace the securitization of the border through the case of the Camarena Affair and frame the narrative by discussing how the United States government policed the War on Drugs prior to the kidnapping of undercover DEA agent, Kiki Camarena. While the War on Drugs was initially marked by cooperation with the Mexican government and domestic policing of heroin and crack cocaine users within the United States, the United States government's attention drastically shifted to the border, and the Mexican government's policing of drug cartels on the whole, two weeks after Camarena's kidnapping. By closing down the border in a symbolic search for the DEA agent, United States elites explicitly decided to turn an undercover operation into a public relations campaign. The two week time lag between Camarena's kidnap and the subsequent shutdown of the border reveals the degree to which elites evaluated the likelihood that the American public would accept a depiction of Mexico, its government, citizens, and products, as dangerous. Evidence that the affair was made public on a large scale will be shown by a shutdown of the border, marked by lines as long as seven hours. What follows is a succession of speech acts levied against the Mexican government a few months later. And to prove that the ideas of the securitized border in the wake of the Camarena Affair live on to this day, the case will conclude with a discussion of the Anti-Drug Abuse Act of 1986, a mere symbolic measure, which conditionally ties United States' foreign aid to drug source countries' cooperation with the United States' narcotics laws. The Copenhagen School's literature on securitization studies expects that any issue can be securitized in a time of ‘emergency.' Applying the school's theoretical ideas to a concrete case, this paper will explore to what degree the Camarena Affair reoriented notions of friends and enemies in the War on Drugs. Further, if the affair can be traced to an enhanced distinction of ‘friend' and ‘enemy' between the United States community and drug exporting governments, what proof exists that this relationship was ever securitized? United States elites explicitly decided to turn an undercover operation into a public relations campaign. Secondly, I will outline my methodology for placing this case within the theoretical realm of constructivist security studies. Thirdly, using a process-trace approach, I will argue that the capture, torture, and subsequent murder of DEA agent Kiki Camarena securitized the issue of source governments' lack of cooperation with the United States' stated social preferences, a drug-free America, and fostered the necessary political conditions for the passage of the Anti-Drug Abuse Acts of 1986. Tracing these conditions is of particular importance, as this legislation marks the starkest example of the United States' enforcement of drug laws beyond its borders. Juxtaposed against traditional scholars such as Walt who view military engagement and state-centrism as the primary framework through which security studies must be understood, Wæver, Buzan, et.al. have developed a comprehensive alternative to the study of security, more commonly known as the Copenhagen School. Traditionalists, on the other hand, view security as an objective condition, ignoring the intersubjective process by which mobilization for security occurs. What is lost in this form of traditional analysis is the rhetorical structure, known as a "speech act," whereby securitizing actors place issues onto the security agenda. In democracies, elected representatives cannot simply govern with a mandate to do what they believe is right behind closed doors. Instead, they must communicate to their polity why they believe in the decisions they make. Similarly, yet distinct from normal political engagement, securitizing actors, many of whom occupy elected office, must communicate to their constituencies why they should be granted the authority to "operate in a different mode than he or she would have otherwise" in a normal situation.5 Security implies consent among the referent object's subject population for a securitizing actor to use any and all means necessary, including military action, extreme regulation or sudden legislation, to protect any given sector in a time of crisis. Securitizing actors will not objectively assess threats to referent objects. Threat assessment is not only inherently subjective, as individual actors bring with them a set of personally tailored political priorities, insofar as an objective and absolutist approach to risk management is inefficient. According to securitization scholar Peter Nyers, representative bodies do not function to completely eliminate risk; rather they govern as managers of risk. Risk management implies proper prioritization of risk. Thus, government actors reduce coordination costs of risk prioritization by "encouraging, inculcating, and suggesting" to free thinking subjects "certain ways of conduct that increase [their] health, wealth, and happiness.6 To do this, actors use speech acts to "construct a shared understanding of what is to be considered and collectively responded to as a threat. "7 But speech acts themselves ought not be equated with securitization. Instead, one should view them as mere tools of securitization. For an issue's securitization will only occur given the proper facilitating conditions. An aspiring migrant from Mexico crosses into the US at the Tijuana-San Diego border. The crosses on the fence represent the deaths of failed attempts. Secondly, the threat itself matters. An audience is more likely to "conjure a security threat if certain objects can be referred to that are generally held to be threatening. "11 Some examples of threats include terrorists, drugs, weapons and viral diseases. With the securitizing actor identifying a referent object that needs protection, calling for a suspension of the rulebound order and combining a consenting subject population, the next question becomes: from whom or what does the community need protection? Therefore, pitting a community's survival against an enemy of the community aids securitizing actors by appealing to a communal sense of identity. of the Copenhagen School, Bill McSweeny argues, friend/enemy distinctions distort the "multiplicity of social identities, along with the process of negotiation and accommodation through which they operate. "14 This is precisely why not all claims to securitization succeed; why securitization involves the consent of dissimilar identities, which comprise a community, to agree on a united course of action. Thus, the "friend" element of the equation is as socially constructed as the "other." The framework of friend/enemy distinctions, a time of existential crisis, a suspension of the rule bound order, discursive speech acts, and facilitating conditions for an issue's securitization will provide a lens, through which notions of defense and drugs transform a border from a place of trade and commerce to a space of danger; something that must be defended.15 The theoretical ideas of the Copenhagen School and Schmitt will be applied to the case of DEA agent Enrique "Kiki" Camarena's kidnap, torture and subsequent murder in Mexico. And the legacy of this case will show how the Camarena Affair reoriented the threat of drugs from American cities to the Mexican government itself. At a press conference on June 17, 1971, President Nixon declared, "America's public enemy number one in the United States is drug abuse. In order to fight and defeat this enemy, it is necessary to wage a new, all-out offensive…a worldwide offensive." Of particular significance about this press conference were Nixon's calls for suspending debate on $350 million in Congressional appropriation, including an increase in "some new responsibility into the White House," because he "considered the problem so urgent…that it had to be brought to the White House." The DEA's broad mission granted itself the ability to conduct investigations foreign and domestic, provided foreign governments cooperated. According to Maria Celia Toro, director of the Center for International Studies at El Colegio de Mexico, members of the DEA in Mexico initially sought to establish and train a "Mexican antinarcotics police unit trained in its own spirit and tactics" in the early 1970s.19 Mexico quickly became a priority for the newly established DEA, as a projected 87 percent of the heroin and 95 percent of the marijuana flooding the United States market originated in Mexico.20 But if Mexican officials were not the enemies in the 1970s, then who was? As part of the Guadalajara Cartel's proliferation, it attracted Rafael Caro Quintero, known by many as "El Chapo" (Shorty), to its ranks. And by December of the same year, DEA special agent Enrique "Kiki" Camarena was undercover and on his case. Time magazine reported Camarena's bust of Quintero's marijuana farm in the Mexican state of Chihuahua as "the bust of the century," yielding 9,000 tons of marijuana valued at over $4 billion.28 Needless to say, the record-breaking bust caused Quintero to seek swift revenge on those who plotted against him and the Guadalajara Cartel. Nearly 2 months after the bust, Camarena was kidnapped in a "police-type arrest," on February 7th. According to the Drug Enforcement Administration Reauthorization for Fiscal Year 1986, Special Agent Camarena was picked up by people with whom he had worked in the past, and placed in an unmarked car. The kidnapping occurred in broad daylight.29 Camarena missed a scheduled lunch with his wife, who then notified the DEA office in Guadalajara on February 8th. Enmity between the two agencies increased by Tuesday, February 12th, when the MFJPD carried out a search of a Mexico City apartment after "a several-day delay." DEA officials in Mexico City had previously provided the MFJPD with credible intelligence that the owner of the apartment in question, Juan Matta Ballesteros, was tied to Camarena's disappearance.31 For many United States elites close to the situation, this was the final straw. The first visible example of the United States government's efforts to securitize the United States-Mexico border in relation to Camarena's kidnapping took place on February 20th, 1985, 13 days after Camarena disappeared. By that time, Camarena's whereabouts were still unknown to United States officials. Accordingly, Frances M. Mullen Jr., head of the DEA, ordered United States Customs Service Commissioner, William von Raab, to highlight their discontent with the MFJPD's handling of Camarena's disappearance. The pair manifested their discontent by ordering "an excruciating campaign of car-trunk by car-trunk inspection" for every car crossing the border. Thus, both Mullen Jr. and von Raab satisfied the conditions of securitizing actors who endorsed extreme measures in a time of crisis to protect a referent object, which, in this case, was the border and all of its inhabitants within the United States. Named Operation Camarena, the campaign's publicly stated goal was to find the missing agent. Yet elites knew of no evidence suggesting Camarena's kidnappers intended to transport him across the border. Still, the inspections took place at every official border crossing along the United States-Mexico border. According to a Time magazine article published days after the six-day operation ended, crossing the San Ysidro border between Tijuana and San Diego, a border that typically took twenty minutes to cross, spawned lines over seven hours long. The number of United States citizens who typically crossed the border severely plummeted, thereby weakening a substantial source of income from tourism, on which the Mexican government relied. United States officials never had any reason to believe that drug traffickers planned to covertly export Camarena's body out of Mexico and back into the United States. And even if United States officials had any reason to believe that drug traffickers planned to covertly export Camarena's body out of Mexico and back into the United States, those same officials realized the futility of finding a needle in a haystack. 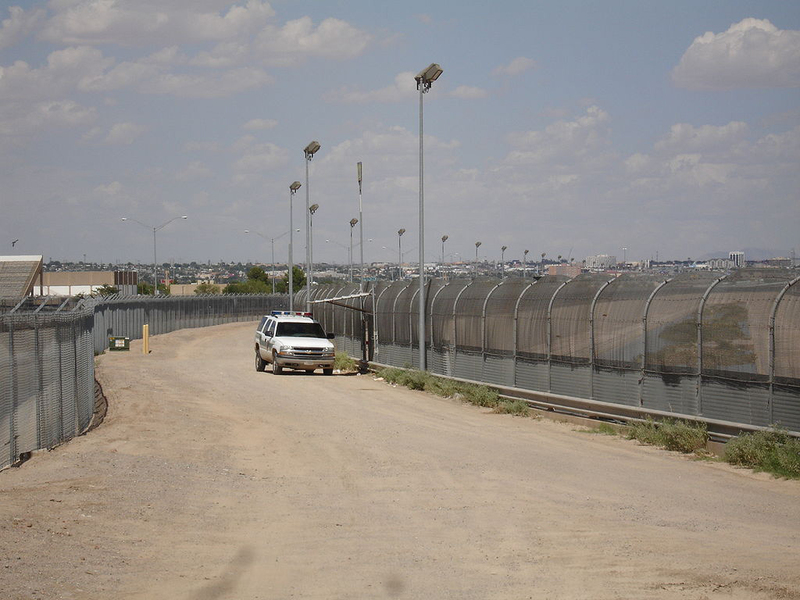 The United States government had successfully linked the securitization of the border with Camarena's disappearance and imposed tangible costs on businesses along the border. They knew Mexico's already flailing economy could not suffer such a hit if business continued to falter indefinitely. And they also knew that the newest threat in fighting the War on Drugs would stem from an already expanding Mexican cartel network, the size of whose political influence was unmatched. Given these conditions, and provided with Camarena's kidnap and murder as a symbol of what was to come, the United States government calculatedly securitized the border, thereby expanding the threat of drugs from its own streets to across the border. Thus, the Camarena Affair was instrumental in conflating Mexican corruption with the already established War on Drugs. 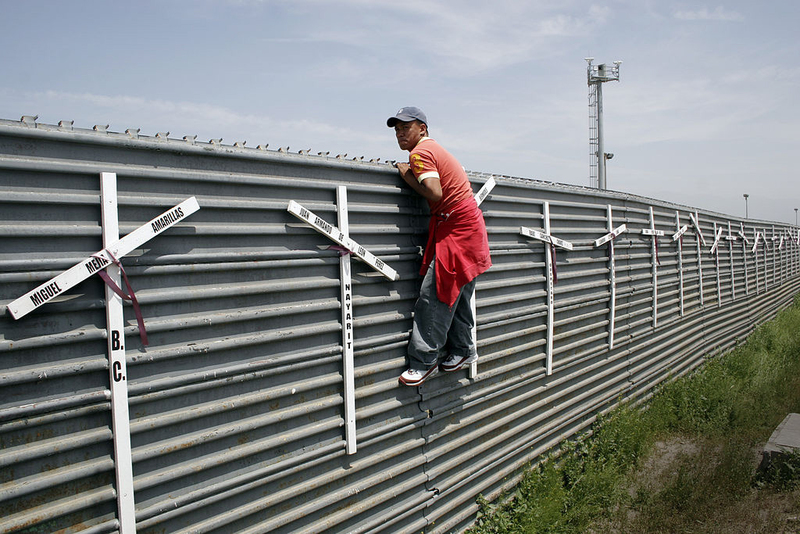 Mexico, and by extension, Mexicans become security concerns. 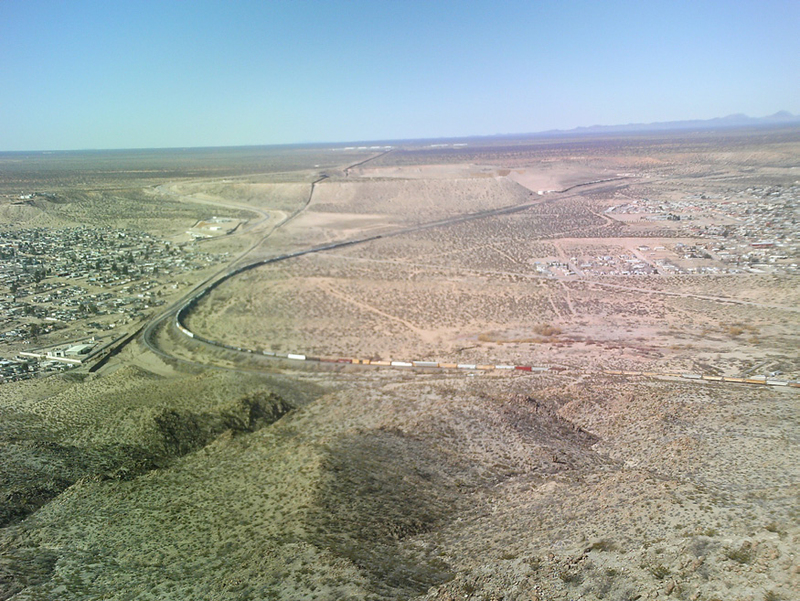 The start of the border fence between the United States and Mexico near Sunland Park, New Mexico, U.S.A. and Rancho Anapra, Chihuahua, Mexico. Reaffirming the already securitized concept of the border as the source of the drug threat, the speech acts made by United States elites reified the distinction between friend and enemy governments, placed drug trafficking and the web of related activities beyond the pale of normal politics and into an ‘existential' category, and allowed for any and all means necessary to combat the threat of drugs and the associated cartel violence, including a complete border shutdown. Best, Joel. Images of Issues: Typifying Contemporary Social Problems. New York: A. De Gruyter, 1995. Brinkley, Joel. “Concern Growing Among U.S. Aides On Mexico Future.” New York Times, May 25, 1986, (Late Edition (East Coast)) ed., P. A.1. sec. Accessed November 21, 2011. Banking Information Source. Buzan, Barry, Ole Wæver, and Jaap De. Wilde. Security: A New Framework for Analysis. Boulder, Colorado 80301: Lynne Rienner Publishers, 1998. “DEA Briefs & Background, Drug Policy, DEA Mission Statement.” Welcome to the United States Department of Justice. Accessed November 05, 2011. http://www.justice.gov/dea/agency/mission.htm. “DEA History Book, 1985 - 1990.” The United States Department of Justice. Accessed December 05, 2011. http://www.justice.gov/dea/pubs/history/1985-1990.html. Diederich, Bernard, Jacob V. Lamar Jr., and Larry Wippman. “The Bust of the Century.” Time Magazine. December 3, 1984. Accessed November 8, 2011. Falco, Mathea. 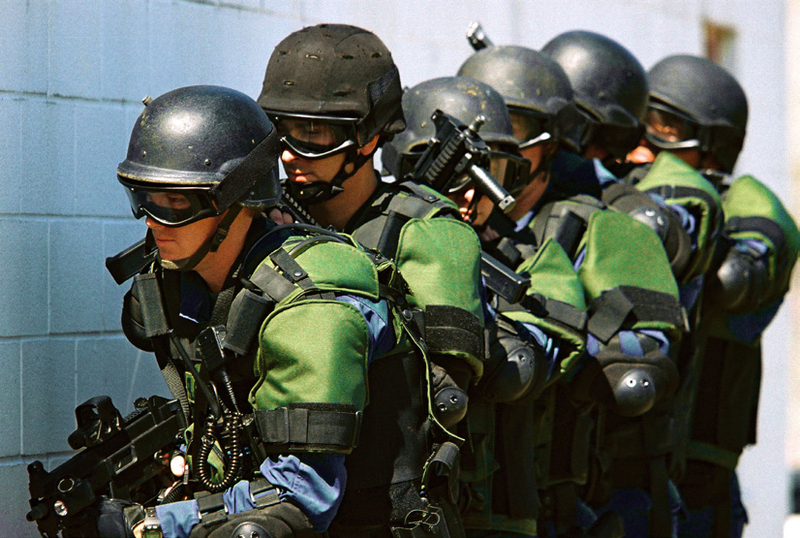 Winning the Drug War: A National Strategy. New York: Priority Press Publications, 1989. George, Alexander L., and Andrew Bennett. Case Studies and Theory Development in the Social Sciences. Cambridge, Mass. : MIT Press, 2007. “Heroin Timeline Info.” Narconon, Drug Rehabilitation, Drug Education. 2010. Accessed December 05, 2011. http://www.narconon.org/drug-information/heroin-timeline.html. H.R. Res. 5729, 99th Cong., The Library of Congress (1986) (enacted). McSweeney, Bill. Security, Identity and Interests: A Sociology of International Relations. New York: Cambridge University Press, 1999. “Mexico Certification.” Transcript. In All Things Considered. NPR. February 28, 1997. Morlet, Thomas. “Border Search for Clues Ended : Mexico Arrests Suspect in Kidnaping of U.S. Agent.” The Los Angeles Times. February 26, 1985. Accessed November 06, 2011. Nixon, Richard M. “Remarks About an Intensified Program for Drug Abuse Prevention and Control.” Address, Briefing Room at the White House, Washington D.C., June 17, 1971. Accessed November 8, 2011. http://www.presidency.ucsb.edu/ws/index.php?pid=3047#axzz1dMFHxQNi. Nyers, Peter. Securitizations of Citizenship. London: Routledge, 2009. Padgett, Tim, and Elaine Shannon. “La Nueva Frontera: The Border Monsters.” Time Magazine. June 11, 2001. Accessed November 6, 2011. Reeves, Jimmie Lynn., and Richard Campbell. Cracked Coverage: Television News, the Anti-Cocaine Crusade, and the Reagan Legacy. Durham, NC: Duke University Press, 1994. Reinarman, Craig, and Harry G. Levine. Crack in America: Demon Drugs and Social Justice. Berkeley: University of California Press, 1997. Russell, George, Ricardo Chavira, and Janice C. Simpson. “Mexico Slowdown on the Border.” Time Magazine. March 4, 1985. Accessed November 6, 2011. Schenk, Benjamin S. “Beyond the Blame Game: An Assesment of the Motivations, Policies, and Obstacles Behind Mexico’s Cartel Violence.” World Outlook: An Undergraduate Journal for International Affairs 40 (summer 2011): 32-46. Schmitt, Carl. The Concept of the Political. Translated by George Schwab. Chicago: Univ. of Chicago Press, (1996). Silver, Ira. “The Crack Attack: Politics and Media in the Crack Scare.” In Social Problems: Readings. New York: W.W. Norton, 2008. Special to the New York Times. “WASHINGTON TALK; ‘My Position Hasn’t Changed’” October 28, 1986, (Late Edition (East Coast)) ed., P. B. 18. sec. Accessed November 22, 2011. Banking Information Source. Toro, Maria C. “The Internationalization of Police: The DEA in Mexico.” The Journal of American History 86, no. 2 (1999): 623-40. Accessed November 8, 2011. JSTOR. Walt, Stephen M. “The Renaissance of Security Studies.” International Studies Quarterly 35, no. 2 (1991): 212-13. Williams, Michael C. “Words, Images, Enemies: Securitization and International Politics.” International Studies Quarterly 47, no. 4 (2003): 511-31. Wæver, Ole. “Securitization and Desecuritization.” In On Security, edited by Ronnie D. Lipschutz, 46-86. New York: Columbia University Press, 1995. Walt, Stephen M. “The Renaissance of Security Studies.” International Studies Quarterly35.2 (1991): 212-13. Print. Buzan et al., pp. 5. Nyers, Peter. Securitizations of Citizenship. London: Routledge, 2009. Print. pp. 1. Buzan et al., pp. 30. Buzan et al., pp. 26. Schmitt, Carl. The Concept of the Political. Trans. George Schwab. Chicago: Univ. of Chicago, (1996). Print. pp. 32-33; As quoted in Williams, Michael C. “Words, Images, Enemies: Securitization and International Politics.” International Studies Quarterly 47.4 (2003): 511-31. Print. pp. 518. Wćver, Ole. “Securitization and Desecuritization.” On Security. Ed. Ronnie D. Lipschutz. New York: Columbia UP, 1995. 46-86. Print. pp. 67; As quoted in Williams, pp. 519. Williams, pp. 519; And see McSweeney, Bill. Security, Identity and Interests: A Sociology of International Relations. New York: Cambridge UP, 1999. Print. pp. 72. Nixon, Richard M. “Remarks About an Intensified Program for Drug Abuse Prevention and Control.” Address. Briefing Room at the White House, Washington D.C. 17 June 1971. The American Presidency Project. Web. 8 Nov. 2011. <http://www.presidency.ucsb.edu/ws/index.php?pid=3047#axzz1dMFHxQNi>. 17. Reorganization Plan No. 2 of 1973, as amended by Pub. L. No. 93-253, 88 Stat. 50 (1974), is reprinted in 5 U.S.C. app. 1, along with the accompanying President’s Message to Congress. Executive Order No. 11727 appears at 38 Fed. Reg. 18357 (1973); And see Toro, Maria C. “The Internationalization of Police: The DEA in Mexico.” The Journal of American History 86.2 (1999): 623-40. JSTOR. Web. 8 Nov. 2011. pp 624. “DEA Briefs & Background, Drug Policy, DEA Mission Statement.” Welcome to the United States Department of Justice. Web. 05 Nov. 2011. <http://www.justice.gov/dea/agency/mission.htm>. Falco, Mathea. Winning the Drug War: A National Strategy. New York: Priority Publications, 1989. Print. pp. 36. “Heroin Timeline Info.” Narconon, Drug Rehabilitation, Drug Education. 2010. Web. 05 Dec. 2011. <http://www.narconon.org/drug-information/heroin-timeline.html>. “DEA History Book, 1985 - 1990.” The United States Department of Justice. Web. 05 Dec. 2011. <http://www.justice.gov/dea/pubs/history/1985-1990.html>. Silver, Ira. “The Crack Attack: Politics and Media in the Crack Scare.” Social Problems: Readings. New York: W.W. Norton, 2008. Print; And see Best, Joel. Images of Issues: Typifying Contemporary Social Problems. New York: A. De Gruyter, 1995. Print; See also Reeves, Jimmie Lynn., and Richard Campbell. Cracked Coverage: Television News, the Anti-Cocaine Crusade, and the Reagan Legacy. Durham, NC: Duke UP, 1994. Print. Padgett, Tim, and Elaine Shannon. “La Nueva Frontera: The Border Monsters.” Time Magazine. 11 June 2001. Web. 6 Nov. 2011. Diederich, Bernard, Jacob V. Lamar Jr., and Larry Wippman. “The Bust of the Century.”Time Magazine. 3 Dec. 1984. Web. 8 Nov. 2011. Drug Enforcement Administration Reauthorization for Fiscal Year 1986: Hearing Before the Subcommittee On Crime of the Committee On the Judiciary, House of Representatives, Ninety-ninth Congress, First Session ... May 1, 1985. Washington: U.S. G.P.O. , 1986. pp. 22. Russell, George, Ricardo Chavira, and Janice C. Simpson. “Mexico Slowdown on the Border.” Time Magazine. 4 Mar. 1985. Web. 6 Nov. 2011. Primary purpose aside, the border shutdown led to the following effects: the restriction in crossborder travel included long lines at the border, thereby increasing production costs for many multinational businesses, as well as a stigmatization of all potential entrants into the United States. Morlet, Thomas. “Border Search for Clues Ended : Mexico Arrests Suspect in Kidnaping of U.S. Agent.” The Los Angeles Times. 26 Feb. 1985. Web. 06 Nov. 2011.; And see DEA Reauthorization (1986), pp. 23. Brinkley, Joel. “Concern Growing Among U.S. Aides On Mexico Future.” New York Times (Late Edition (East Coast)) 25 May 1986, P. A.1. sec. Banking Information Source. Web. 21 Nov. 2011. Schenk, Benjamin S. “Beyond the Blame Game: An Assesment of the Motivations, Policies, and Obstacles Behind Mexico’s Cartel Violence.” World Outlook: An Undergraduate Journal for International Affairs 40 (Summer 2011): 32-46. Print. “WASHINGTON TALK; ‘My Position Hasn’t Changed’” Special to the New York Times 28 Oct. 1986, (Late Edition (East Coast)) ed., P. B. 18. sec. Banking Information Source. Web. 22 Nov. 2011. H.R. Res. 5729, 99th Cong., The Library of Congress (1986) (enacted). Print. “Mexico Certification.” All Things Considered. NPR. 28 Feb. 1997. Radio. Transcript.